What happens when you're in love with your best friend and they're clueless about how you feel. Or are they?? Reese and Dawson have shared a lot over the years but the way they feel that's never been spoken about. I loved the concept of the story even if at times I was Infuriated with them. I found myself screaming ( in my head) at them to just talk to each other. 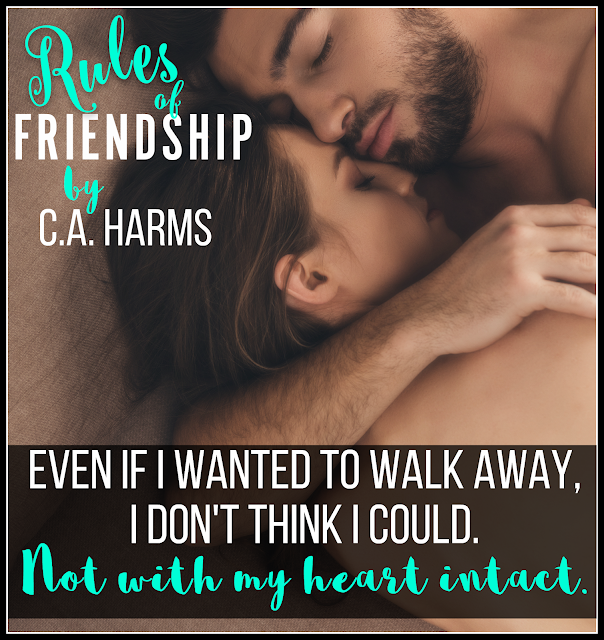 The deep bond they have for each other was easy to see, I liked that the author didn't go overboard with this but the reader sees it unfold. I totally got why they were wary of change but I was willing them to just take that chance. I really liked both main characters they were relatable which is always a plus in my book. Another well-written book from this author. It's like these two wear blinders. All that love is being isolated in the "laboratory" that is their friendship. Must quarantine the "friendship" keep those pesky "more" feelings far away. Only problem is...eventually they eat you up. Feelings get hurt. Needs change. And that friendship you cling to so hard...is missing something. If C.A. Harms hadn't written this in both points of view, I'm sure this review would have had stabby hands and death threats. But don't worry folks, you get both sides of this story and with it the tension, lust, and heartache. 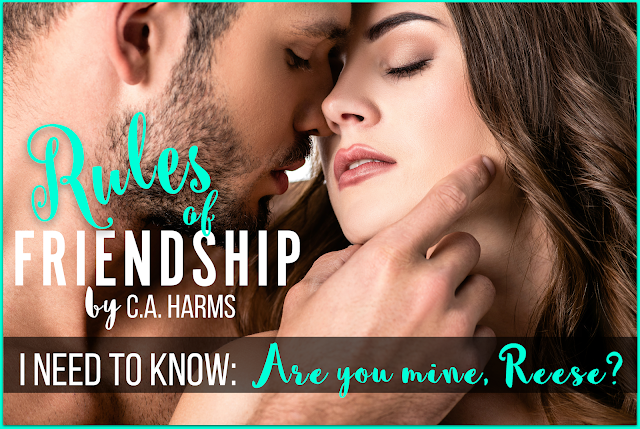 Rules of Friendship is a perfect friends to lovers story complete with enough epilogues to keep you smiling and love to keep you floating on a happy cloud.